This product will be coming back into stock around September 19! Kitsch and cool the Mrs Hoffman 1960’s style vase will add personality, creativity and funky fun to your home interiors. 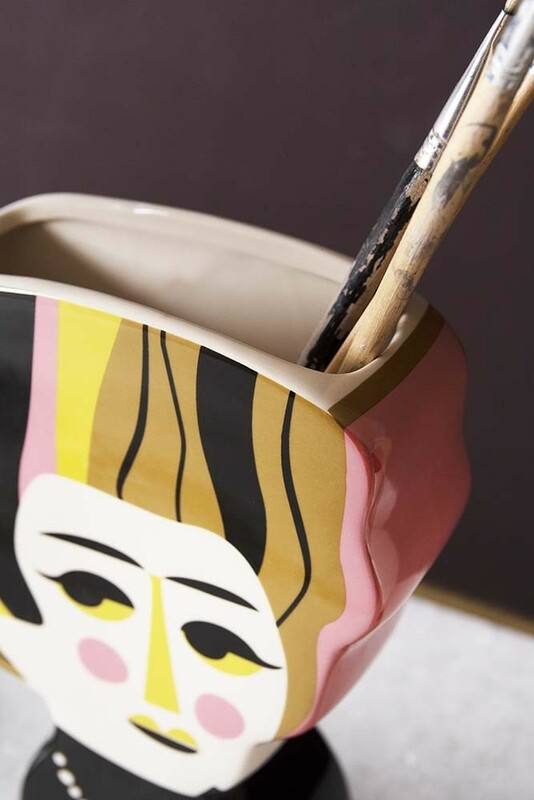 Mrs Hoffman is a ceramic vase or storage pot featuring a stylish 60’s style up-do, beaded pearls and an enviable eyeliner flick. Her partner in crime is Mr Miller and is available to purchase from Rockett St George too. This fabulous lady vase measures 23cm in height x 18cm in width x 6cm in depth. Anyone who loves kitsch, retro home accessories will love this stylish woman vase. 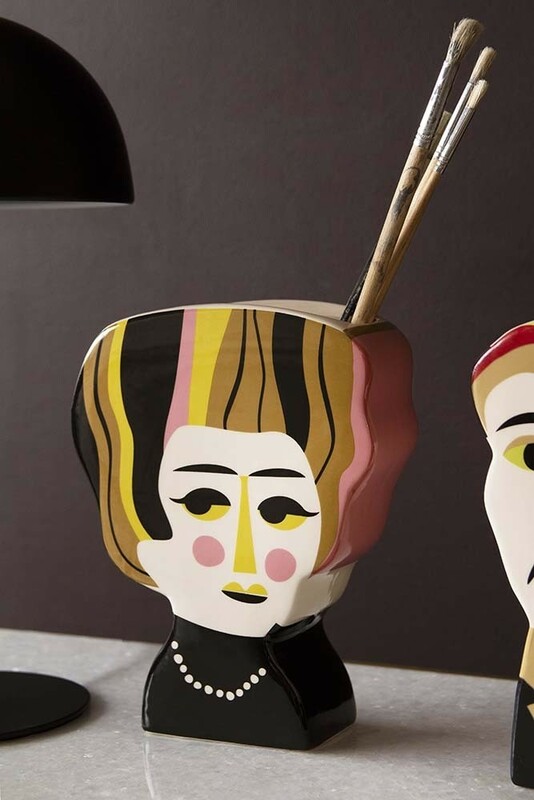 Designed by Swedish based illustrator, Ingela P. Arrhenius, the artist has a distinctive knack for characterful 60’s style illustrations and the Mrs Hoffman Vase is no exception! Perfect for those of you who want to inject colour and personality to your interiors, we think that you will love displaying your Mrs Hoffman Vase on your shelves, side tables, coffee tables, windowsills and console tables. Guaranteed to catch your eye as soon as you walk into the room! A multi-functional decorative vase the Mrs Hoffman 60s Inspired Vase is a uniquely versatile storage container that you can re-purpose around the home. This product will be back at Rockett St George around September 19!